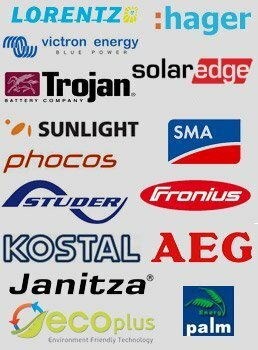 Using the expertise in technology and the experience acquired in critical applications for drinking water, VASCON SOLAR EXPERTS LTD. has a range of pool pumps that need no electrical energy and have a long lifespan. Another advantage is the soundless operation with modular parallel increasing water flow. Easy maintenance, fast amortization of initial investment and reduction of environmental footprint. 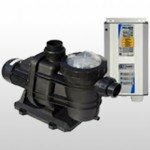 The LORENTZ AND TAIFU Pool Pumps are made for domestic use and for businesses that have a pool and want to keep operation costs low. 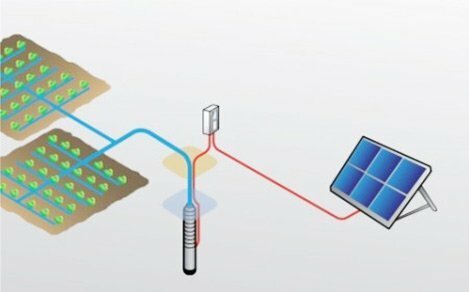 The solar pump connects directly to the photovoltaic system that changes solar rays into electricity. Batteries are not used for the storage of electric energy. The LORENTZ solar pumps for irrigation gives the solution for a low cost of pumping water and doesn’t produce carbon dioxide and is also noiseless. Solar energy for irrigation is the most reliable system even more than wind power, it is much less expense and cleaner than petroleum. The LORENTZ solar pumps can the various areas of the field to be watered. 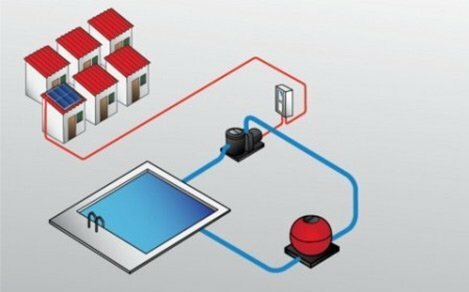 Large amounts of water for large or small areas of irrigation can be supported by a wide range of solar pump sizes with parallel fittings, (underwater). The PS-CS-17/37-1 is a surface centrifugal pump that uses solar energy. It is used mainly in the maintenance of lakes and in the circulation and recycling of pool water using a system of filters and solar collectors for irrigation, aquariums, etc. An effective solution for water pumping systems, independent of the network and environmentally friendly. Renewable energy is a highly topical issue in recent years, due to declining fossil fuel reserves. For this reason solar power is expected to play an important role in irrigation for global agriculture. Especially the latest developments in solar energy will help to pin down the advantages and range of applications. Expected pumping systems based on solar energy will become popular in the near future. ABB already has an innovative solution for pumping water, during asunny day, using solar energy as a reliable power source. Constructed and produced the solar pump drive ACS355, which incorporates Family inverters solar pump drives ACS355 ABB use solar energy calculation technology MPP MPPT (Max Power Point Tracking). Thanks to this technology, the solar pump drive ACS355 ABB provides uninterrupted operation, even during drastic changes in radiation of sunlight, with therefore allowing the pump to work with maximum power using solarenergy. 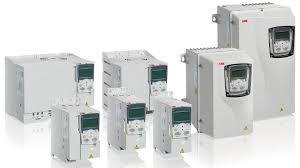 Compared to the pump drive systems powered by diesel generators, the solar pump drive ACS355 ABB once installed has no fuel cost, exhaust emission or CO2 footprint. Contrast is silent, environmentally friendly with low maintenance cost and timelife up to 25 years. It is also independent of the network so that it will not be affected by power cuts, tariff increases and destruction engines due to changes in grid voltage. 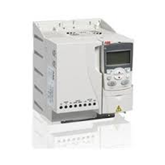 The new solar pump drive ACS355 ABB covers a specific part of the market in which grows and becomes more and more popular because it is applicable tomany areas. Some of them are pumping groundwater, agricultural irrigation,forestry, the drought control, livestock, the water supply to the islands, treatmentsewage and many others. Also, the solar pump drives can be used increasingly often to municipal projects and communities, in city parks, tourist attractions and accommodation and also in boreholes and fountains located in residential areas.